Discussion in 'Pin Trading' started by chubs191, Sep 10, 2018. After waiting 10 months for this pin to arrive, it came to me in not so great condition. She has a scratch on her face, a black dot in her hair and some pin pricks in her chest. I was told there were no replacements, so I am here to ask anyone who has it if they would be willing to trade their's for mine and extra pins included. Maybe she can help. Sometimes there are PPs or APs left over. Thanks, but I've already contacted Kristi on messenger. At this point, I'm just trying to find a replacement. I am still looking for a replacement. We will make it right! CCofRR13, watzshakinbacon, TheMickeyMouseRules and 1 other person like this. This is the best news I've heard all day! Thanks so much for trying! Hi Kristi! 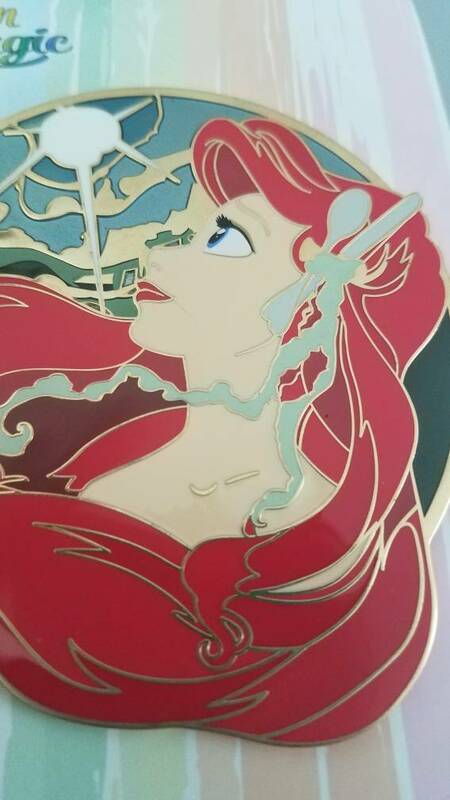 Received my Ariel Profile pin as well. I'm not sure but, I think the bubble wrap - put DIRECTLY on the PIN - left some residue swirls in her hair. IF no replacements are available, I think I can live with it. HOWEVER - PLEASE DON'T put the bubble wrap directly on the pins when shipping. Only wrap the PIN, on card, in the plastic bag. I'll check my Ariel today, if it's in better condition you may feel free to have it. TiggerSue and TheMickeyMouseRules like this. It really annoys me that I saw people at the Animation Celebration event that purchased these at the Pinopolis event before preorders were filled. Maybe if they would have fulfilled orders before selling any extras they would have had spares for something like this. This thread can be closed, because the replacement pin was received in great condition! Thanks again @Pinopolis_Ambassador for being amazing!